Electronic commerce known as e-commerce is a type of industry where the buying and selling of products or services is conducted over the Internet. Now a day's most of retailer want to develop own e-commerce platform. When it comes to ecommerce websites design, or an ecommerce redesign, you need a company that is focused and experienced in providing professional e-Commerce solutions. 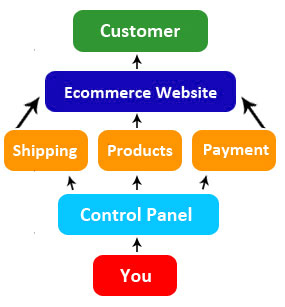 Piwania is providing Ecommerce website designing services in Delhi, we have a team of experts under one roof for designing and development for ecommerce, Piwania's goal is to provide you best services related e-commerce and all the necessary design, development and marketing services that need to be requirement for being successful ecommerce business. We've developed thousands of ecommerce projects in past years and know what it takes to get sales. Utilizing responsive web design, our ecommerce website designing solutions are optimized for desktop, mobile and tablet viewing. Our Ecommerce framework features such as unlimited products, categories, fast page loading, to a secure one - page secure checkout, we design user friendly online shopping front end for customers and control panel for website owners to manage easily. 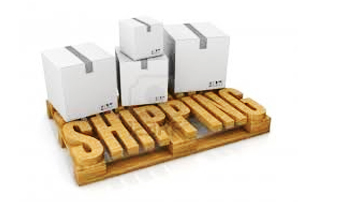 Admin can manage shipping status of orders to tracking easily for his customers. Piwania ecommerce website design company Delhi can develop the customize ecommerce website sound perfect for your business. Get the benefit of our ecommerce website with minimum price and maximum features! Below you will find a list or shipping methods included in the Shopping Website. 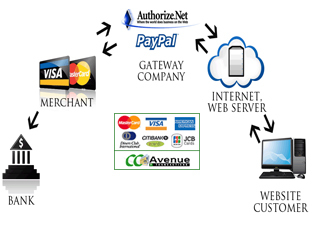 Below you will find a list of payment gateways that are included in the Shopping Website. 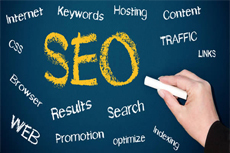 Search Engine Optimization allows pages to be indexed by all major search engines and custom product and category META tags. Having a high search engine ranking for your the keywords related to your products will get your store high number of sales. Has a guest checkout feature so that customers don't have to sign up for an account and can simply just enter the minimum amount of details required to process their order.